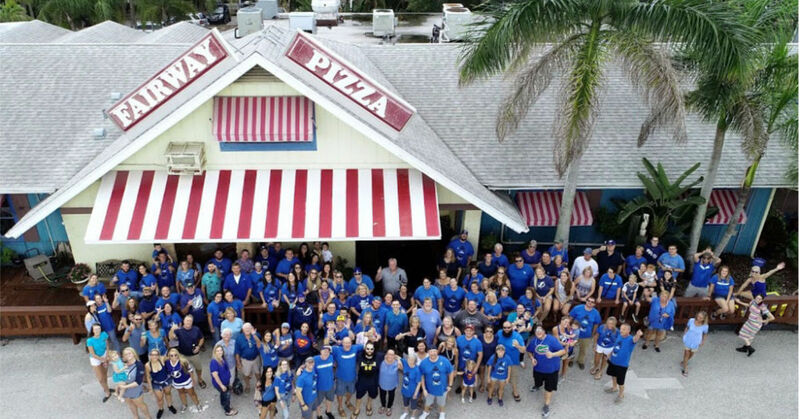 When it comes to Italian food Palm Harbor residents just can’t get enough of, Fairway Pizza and Sports Page Pub makes the list every time! Yes, we offer the area’s best Northern-style pizza, but did you know that we also offer plenty of mouth-watering Italian pasta dishes too! 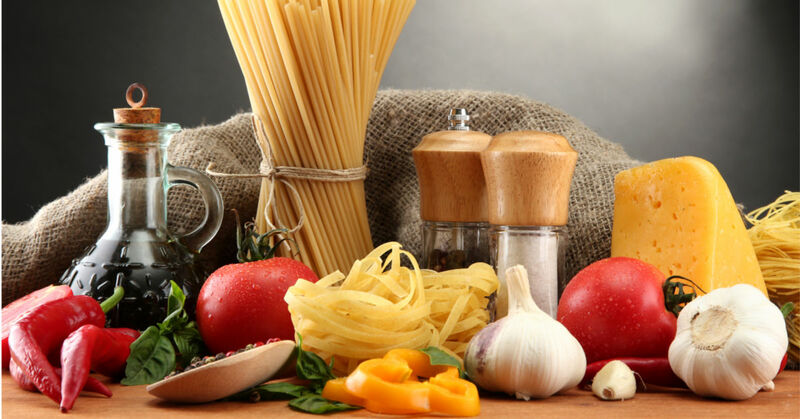 No Italian restaurant would be worth visiting if they didn’t offer spaghetti and our spaghetti (and don’t forget to add the meatballs) is a fan favorite and has been for years! Served with our fresh and delicious marinara sauce and freshly grated cheese, our spaghetti dish is served with a side of crispy garlic bread and tossed salad. Plus, when you add our meatballs you get our thick, fresh, meatballs that are simply to die for! If you prefer things a little more vegetarian, try our stuffed shells! Fresh pasta shells stuffed with plenty of melted cheese and topped with our delicious marinara sauce, this is another Italian staple that flies out of our kitchen every night. Plus, just like our spaghetti dish, it comes with a side of fresh crispy garlic bread and a tossed salad! Our chicken parmesan is one of our staff favorites and we can’t blame them because it is really an incredibly tasty dish! A plump breaded chicken breast topped with our fresh marinara sauce and melted parmesan cheese, our chicken parmesan comes with a side of fresh garlic bread and a tossed salad. There really is nothing like piping hot sausage and fresh peppers when the weather starts cooling down a little bit. We know it doesn’t get that cold down here in Florida, but on those later fall afternoons when the sun has gone down, a plate of fresh steaming sausage and peppers with a side tossed salad and crispy garlic bread really hits the spot! If you’re not so big on the tomato-based sauces and you’d like to go with something a little richer, our fettuccine alfredo is a great choice! Perfectly cooked fettuccine pasta with our rich and creamy alfredo sauce will meet that craving for comforting Italian food that’ll fill your belly. Plus, don’t forget that you get a side of our crispy garlic bread and freshly tossed salad. We couldn’t, in good conscience, tell you about our favorite Italian food selections (yes, there are plenty more that we haven’t listed!) without telling you about our lasagna! Perfectly layered sheets of pasta sandwich delicious meat, cheese, and marinara sauce in a hearty and perfectly seasoned dish with a side of garlic bread and tossed salad! Want to Try Italian Food Palm Harbor Restaurant Fairway Pizza Has to Offer? If you’re ready to try our Italian food for yourself you can check out our menu here then pick up the phone and give us a call for delivery or pick up at 727-772-7060 or you can drop on by and pay us a visit to enjoy our heated patio!